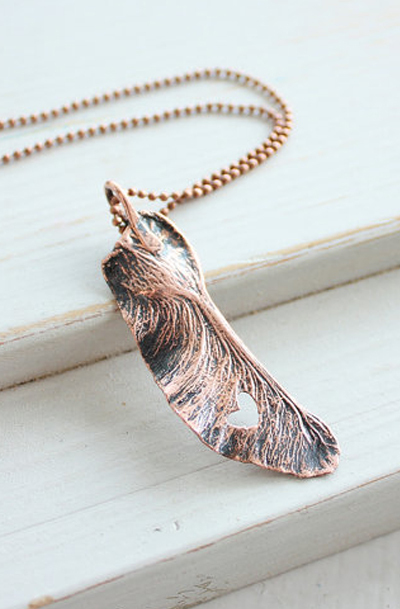 Leaf necklace with carved heart. I oxidized and polished the copper to bring out the highlights in the metal. Lacquered to preserve shine polish. Don't stain clothes and skin.